WINTER TREND FAIR - DEC 5 - DEC 19 | ! *PurpleMoon Creations* ! Take a tour to the North Pole and find some cozy warm creations specially made with the winter in mind! Our exclusive items are these faux fur coats named "Heidi". 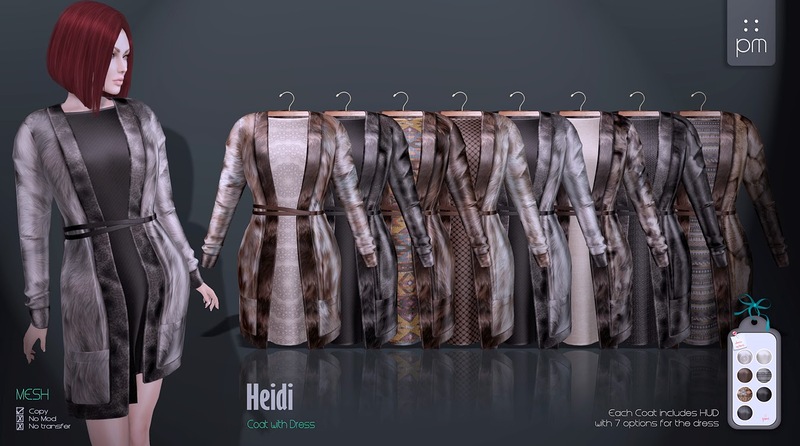 Each includes a HUD with 6 different options for the dress inside! Try them on and pick your favorite! There is also a gift in the location waiting for you!